The first point I want to make is that I think blogs meant to serve a community require the same careful and nuanced thinking about what parameters and practices foster inclusive community as the scholarship that philosophers engage in about community requires. I’ve been thinking deeply about inclusive community for almost two decades. I have two points of departure. From Aristotle, I think we learn that community following a certain notion of nature has to remain concerned with what its purpose is and whether it is achieving its end in order to actually achieve it. This purpose is evidenced by who it includes. 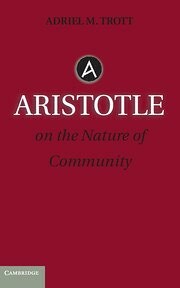 Aristotle counsels communities to be more just and more stable by being more inclusive. Who a community includes tells you what goals the community pursues and what it thinks is just. Who posts on a blog, whose other posts are linked to, who posts regularly in comment sections, these things tell you what goals the community pursues and what it thinks is just. But we all know that inclusivity can be a liberal watchword that can be drag on the road toward justice rather than an accelerant. It is used by those who have historically been centered in conversations when others are permitted into the conversation and they are no longer the only ones permitted to speak. It is used by so-called free speech advocates who want their tired and unsubstantiated views to get platforms when it is rejected from traditional academic avenues. For this reason, a project in a white supremacist capitalist heteronormative patriarchy that thinks inclusion means that every person numerically should be given equal voice will end up reproducing the white supremacist capitalist heteronormative patriarchy. We know that projects of inclusion or universality that universalize from the position of power end up producing exclusion and centering those who are in power. I find useful Alain Badiou’s account of universalizing from the position of the excluded as a productive alternative to liberalism’s approach. Badiou describes the political subject as the universal that is formed from the eruption of the previously excluded onto the stage. The subject formed out of fidelity to this appearance of what was excluded is the universal political that is universal not from the point of view of the centered subject against which everyone else is measured, but from the point of view of the excluded. Inclusion is not based on the extent to which one measures up to the historically centered but on the extent to which excluding differences become equal to other differences in the process of being faithful to the universality formed out of, among and between the previously excluded. In my view, all communities – from blog communities to professional societies — that really want to include those who are historically marginalized have to actively work from the position of the excluded to achieve these ends rather than supposing that every position can have equal representation. If it does not recognize and consider the differences in power in those it decides to platform, it will not be successfully inclusive. In what follows, I want to discuss some specific ways that I think this needs to be considered in online communities. Community-owned and run blogs need to be the central focus of our blogging engagement. I understand that there are people in philosophy and in the academy who think that what happens online does not matter for our professional lives. These people are wrong. Perhaps it is because what was happening online in philosophy fifteen years or so ago was treated as not mattering that individual bloggers gained inordinate influence in ways that by all rights have harmed the field. It isn’t just philosophers. We somehow let private social media companies become our way of socially engaging online and getting our news as if this was the necessary and only possible way that things could be. Lately people have suggested that Facebook and Twitter need to be treated as public utilities. They make the case that Facebook and Twitter are only going to serve the community interest if they are publicly owned and controlled. As it is, social media is incentivized by advertisers not by the needs of the users. The same thing could be said of community blogs. If we really want to end online harassment in philosophy and create environments that reflect the interests of the whole community – which I know we are still contesting what those interests are and whether they are shared – then we need to focus attention and efforts on community-run and field-wide blogs. Only such blogs can ignore the need to drive traffic and thus resist the lure of the controversial posts that attract attention. Only such community projects can resist posts that draw in traffic and do real harm by discussing experiences and identities of marginalized groups in philosophically abstract and distant tones as if people’s lives are puzzles. The APA blog is well-situated to be the public sphere that is unencumbered by these incentives that depart from public interest. SPEP would similarly be well-situated to host such a blog. If it wants to offer a platform for showcasing and publicizing the work of its membership, a place for considering and addressing concerns within the membership, and a stage for speaking to the public beyond the society, SPEP should be doing this work. I have to give it to people who do commenting moderation. It is not easy. The default seems to be to accept comments unless there is a reason not to accept them, but I wonder what moderating might look like if we asked instead whether a comment furthered the conversation or not in deciding whether to approve it. We know that some people—professional philosophers and amateurs—come to philosophy blogs to spout off on their personal hobby horse. There is a person who I regularly see on the blog circuit who in every comment offers advice to people engaged in diversity projects, telling such people that they need to do better what they are suggesting has been difficult to achieve. This person is clearly not contributing to a conversation. He is berating people. His presence on blog comment sections serves only to drive away other commenters. Of course, this strategy requires a moderator with a keen sense of what the community’s goals are and its sense of what it aims to achieve. Just including everyone in the manner I discuss above will leave comment sections overrun by the guy explaining diversity efforts to Black women philosophy professors. Moderating well with this notion in mind leads to my third point. We are holding this panel because philosophy has an online harassment problem. My colleagues on this panel are addressing personal experiences of online harassment that involve death threats and attacks on their livelihood. I want to talk about the philosophy online harassment problem that is trolling. If you are a philosopher and you spend any time online you know that online philosophy has a trolling problem. I want to suggest that online philosophy has a trolling problem because philosophy practiced as a professional discipline has a trolling problem. Consider this list of trolling strategies (culled in part from here) and see if any of them are distinguishable from common tactics philosophers use in argument, in Q&As, in seminar room discussions. Moving the goal posts. Continuously asking for more and more evidence for a new point that was not the original point under discussion. Concern trolls or pseudo-concern trolls. A concern troll might be on your side but raises issues that someone on the other side of the debate might have. A pseudo-concern troll pretends to be on your side raising issues from the other side but really is on the other side trying to derail the genuine discussion. Most concern trolls are pseudo-concern trolls. Never-Give-Up-Never-Surrender Trolling: The not-going-to-let-it-go approach to trolling. Agenda trolling. Everything remotely related to their pet project becomes an opportunity to remind people of their position. Frost trolling: Socially inept person that either does not or pretends not to be able to understand meaning of criticism. Just-Don’t-Get-It Trolling who requires you to keep explaining. What I suggest by raising these examples is that I think you could walk around at a philosophy conference and point out how various interventions match one form of trolling or another. The point is that philosophy will be a place of online harassment and online trolling as long as philosophy treats these as reasonable ways to engage with one another. The troll is the contemporary sophist, concerned with winning rather than coming to new understanding. What happens when the troll-sophist just looks like what we now call a philosopher? What are the conditions that motivate professional philosophers to troll rather than converse? One thing I think that makes trolls trolls instead of genuine commenters is that they have very little at stake in the conversation – to them, it is a game. I wonder if this says something about those who think of philosophy as a game rather than an earnest effort to engage the world, to understand it in order to change it. Trolls have no interest in the change. I think the best thing philosophy could do to change online harassment then would be to change the professional world of philosophy. One of the difficulties with changing things is that people tend to suppose there are two responses to trolls, neither of which are good for philosophy. One is to do what conventional wisdom suggests we do with internet trolls: not feed them. Not feeding the trolls means not responding to them, ignoring, blocking where possible. The other response is to ignore that the behavior is trolling: many bad actors in philosophy are very much fed and even promoted for this troll-like behavior. That’s not good. But not feeding them in the sense of ignoring them is not sufficient either. When we treat internet trolls and professional philosopher trolls as ignorable, we are saying that we can bear to ignore them. Until we can’t. Or while others cannot. I think then we should take seriously the view that not feeding the trolls is bad for the internet and bad for philosophy. Our impulse to ignore the trolls or to ignore that the behavior is trolling gets at the ways that even if we suggest otherwise, our philosophical sentiments tend toward the classically liberal, they tend toward the view that everyone has a right to speak, and that every forum is for everyone, that every question deserves a hearing. As long as we think this way, philosophy and the philosoblogosphere will be overrun with trolls. Hello, and thanks for posting this. There’s a lot here to digest, but I’m going to push back on a point. It concerns the “it’s a game for you” take – which one sees a lot, especially in debates between trans folks and some feminists. I don’t know what the game-metaphor is doing here (except being pejorative). It could be that one means that the interlocutor is getting enjoyment out of the discussion (as one would with game-playing), and that that’s bad. But it doesn’t seem bad. In fact I’d hope for all philosophers that they get some enjoyment, at least some of the time, from the intellectual challenge that is doing philosophy. Surely, it’s part of the reason people become philosophers in the first place. Perhaps the metaphor is a claim that the interlocutor isn’t taking the discussion seriously – that the discussion, for them, is a frivolity, and that such matters should not bet treated this way. To this I want to ask why that matters. Why should we care, or even speculate, as to whether or not our interlocutors are taking the matter seriously? It should be enough to look at what they say about the issue. If they are being pedantic, that might be evidence that they are being frivolous. But their comments should be ignored, simply because they are pedantic – not because of some attitude they take (even if such attitudes were reliably divinable). If the point is a good one, what matter the motivation for it? The upshot of the point is that the “it’s game for you” complaint looks like an attempt at immunization from critique. This also seems to be the motivation for characterizing “concern troll” as someone who is on your side but brings up points the “other side” might make. When, if ever, can critique be taken seriously, if it can’t be taken from those on your side?! Anyway, I have other worries – not least the seemingly conflating of “x, on one metric, is a member of a historically powerful and repressive group” with “x’s being allowed to comment reinforces the repressive power of that group”. That seems, at the least, a fallacy of division. But I’ve gone on long enough. Thanks again for the provocative comments. The “it’s a game” comment means that people are playing with ideas and arguments as if they have no real world impact on people’s lives. People who can do this are those for whom the “game” has no consequences. But it ignores that arguments do have consequences for people. Especially in a time when philosophy is trying to become more publicly relevant and public officials reference philosophers to legitimate policy this “game” can have real life implications in policy, though it also have real life implications because ways of thinking and talking about the world and about others affect how we live in the world and treat others. I am not saying that a person of a certain group being allowed to comment makes the comment section for that person. I am saying that person being allowed to comment in such a way that evidences that they are there to explain or dismiss especially when the discussion is about issues like diversity and the people speaking are from historically marginalized groups rather than to take seriously makes the comment section for those people rather than for those that posts are written by or for those whose inclusion is under discussion. Thank you very much for the thoughtful reply. To be sure, there are people who have much less skin in the game than their interlocutors. The question, though, is why this merits their being labeled a troll – which is levied as a way to discredit what they’re saying, or as a factor in determining whether they should even be allowed to participate. Again, I don’t know what it means to say one is treating the discussion as not having real world consequences. Perhaps you mean that philosophers should not publicly oppose policies (and related issues) that are advocated by oppressed people for the lifting of their oppression. Surely, that depends the nature of the policy. One might agree that the policy would be emancipatory for one group, but hurtful to another in a way that is unjust. Is publicly stating that trollish? Does one need to face the consequences, personally, of one policy or another, to make the point publicly? Why, if you’re right about the policy? Maybe you mean that challenging the views of oppressed people does them some sort of epistemic injustice, and you shouldn’t ignore that consequence. Perhaps you have a very strong standpoint view, such that oppressed people not only have unique epistemic access to the nature of their oppression, but also unique access to the just remedies. The latter is of serious dispute, and there’s a least a prima facie reason to think that being personally vested interferes in one’s ability to assess the aptness of a policy in its totality. Maybe you mean that some philosophical views are so deeply held, so personal, that the mere suggestion of that view’s being false is too hurtful. Obviously, one should tread carefully and thoughtfully in such discussions. But there are limits to which one should censor themselves (or others) for the benefit of others’ feelings, even those of oppressed people. I would think that hardly needs stating, on the left. Perhaps your worry is that the general public’s viewing of these online conversations will, because of their soft-mindedness or weakness of character, cause them to draw the wrong conclusions or pick the bits that favor their oppressive policies. Philosophical argument is just too dangerous to be given the light of day. This is to treat public philosophy as pure rhetoric – the goal being to move the public to the right place, regardless of the reasons. It also assumes that we’ve got the “right place” clearly mapped out – which is the case for some, but not all, policy issues. Though admittedly, the editorial board of the APA blog may be more confident than I in this regard. Thanks again for the post, for the reply, and for entertaining my response. I’ve been thinking today about the concluding thought in this post, where you write “…our philosophical sentiments tend toward the classically liberal, they tend toward the view that everyone has a right to speak, and that every forum is for everyone, that every question deserves a hearing.” The thought seems clarifying to me about what liberalism is, and about a kind of essential flaw in it – you can’t effectively ban bad faith without violating individual liberty. It’s very strange because it seems like something I already knew and also something new to me.